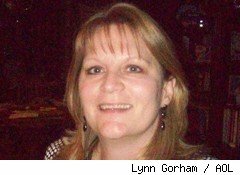 Lynn Gorham wasn't scared when she started looking for a job after 13 years as a homemaker. She had worked office jobs before she got married, and she was ready to go back to full-time work. Plus, she needed the money: Her husband, a contractor, was struggling to find work, and their savings were running low. Previous experience told the 53-year-old Gorham (pictured) that the key factor in finding a job was the employment agency. If you were connected with the right recruiter, they'd take care of you. She was in for a surprise. "The temporary agencies weren't even taking applications," Gorham, of Atlanta, tells DailyFinance. "They wouldn't even take your resume. That blew my mind." Gorham kept looking as the weeks and then months went by. She discovered that the world of employment had migrated online, with less time spent on the phone and hardly any in person. Still, she didn't give up -- she knew her administrative and bookkeeping skills made her employable. After six months of looking, Gorham was frustrated. She was using the job sites and sending out applications, but she wasn't any closer to a job. She decided to take a critical look at her job application process, starting with the basics. She pulled up her profiles on job sites like Monster and Indeed, and noticed that she had said she wasn't willing to travel for work. After so many months, she decided that this might be worth revising. She changed her settings to say that she was willing to travel "25% of the time." That one tweak to her online profile changed everything. She started getting interest from employers, and she eventually took a job arranging housing for college students. She now travels one day every other week and loves the work. "I must've looked for eight months, really hard," Gorham says. "My new job is a better fit than I'd ever imagined." Gorham was one of millions of older people who have found themselves in the toughest job market in decades. They're discovering that job-hunting today is vastly different from the way it was just a few years ago. Instead of making deals over drinks or dialing up an employment agency, they have to be aggressive, tech-savvy and constantly on the lookout for anything or anyone that can give them the edge. "We train individuals to really sell their skills," says Lita Kleger, a spokeswoman for ExperienceWorks, a nonprofit that helps people over 50 reenter the workforce. "It's sort of like a personal marketing campaign." There's plenty of need for these marketing campaigns. A 2008 survey by the AARP showed that more than two-thirds of baby boomers were planning to work into their retirement. For some, this was a choice, since they wanted to stay active. For others, there is simply no choice. Many of these older workers haven't had to look for a job in decades. To compete, they have to catch up with many of the skills that younger job seekers take for granted. Bill Coleman of RetirementJobs, an organization that helps connect older job seekers with vacancies, says he regularly encounters older people whose job-hunting skills are practically antiquated. These job seekers might think the local newspaper is the best place to find a vacancy, Coleman says. Or they may find a job online, but assume that the best way to apply is with an actual cover letter -- sealed in an envelope, stamped and mailed. While the letter is in transit, the employer may receive hundreds of online applications. Then there's the possibility that they won't even go to the trouble of opening the envelope. "You tend to get overlooked when everything is done electronically on the employer side," Coleman says. To be sure, it isn't all bad news for seniors. Unemployment among those over 55 runs at about 7%, compared with more than 9% for the workforce overall, as employers hang on to senior employees who know their organizations well and are closer to retirement anyway. "The decline in the percentage of the population working is much smaller for older workers," says Alicia Munnell, director of the Center for Retirement Research at Boston College. Still, those over 55 find today's job market a cruel place. October's unemployment figures showed that 335,000 older workers are classified as "discouraged" -- they would like to work but have given up all hope of actually finding a job. That number is more than five times higher than it was at the end of 2007, just before the financial crisis moved from the U.S. mortgage sector to the wider economy. The number of older people who are out of the labor force but say they would like a job has risen by 78% in the same period, hitting 1.47 million in October 2010. The obstacles that these workers face to reentering the workforce are real. Many fear age discrimination, which can often take the form of simply ignoring an application, rather than overtly telling a candidate they're too old to tackle the job. "There is often age discrimination in the market place," Coleman says. Companies 'tend to worry that people are technologically behind, they're slower." Those who are willing to face the job hunt have to unlearn some of their old ideas about how to find work. One of the foremost of these is networking. Thirty years ago, networking might mean a one-on-one conversation over drinks or a dinner party. Today's job market calls for a scattergun approach of selling yourself to anyone who will listen. Barbara, 56, of Boston, learned from her time in the job market that networking opportunities don't' always come at a job center. She had almost given up hope of finding work after two years of applications. Then, she made a breakthrough while applying for food stamps. While she was applying this summer, Barbara spoke to a job counselor, who put her in touch with a connection at a local medical billing company. That contact came in useful when the company advertised for an administrative assistant a few weeks later: Barbara had an in at the company and got the job. "Networking to me, prior to this, meant something much more direct -- a handshake and an introduction to somebody at a public event," says Barbara, who asked DailyFinance not to use her surname. "This seemed to be very circuitous. " Barbara and Gorham both stress that job-seekers have to maintain a positive attitude if they want to sell themselves to contacts or potential employers. Gorham says the key to her job hunt was learning how to brand herself. She tuned into careers webinars, handed over her resume for critique and did mock interviews to help overcome her nervousness. "I had to learn how to portray myself," Gorham says. "I learned to think 'why would the company hire me?'" Answering that question is a pressing need for many seniors. AARP data shows that the number of people over 55 declaring bankruptcy accounted for more than 20% of total filings at the end of 2007. Meanwhile, 20% of those over 45 have stopped contributing to their retirement accounts completely as they struggle to meet today's bills. As a result, older workers can find themselves under intense pressure to find work immediately if they ever hope to repair their personal finances. "People in my age bracket who have experienced any substantial amount of time on unemployment have used up their savings," Barbara says. "We don't have another 40 years to make up for it like we would have when we were 25."